Whether indoors or outdoors, day or night. Come rain or shine. 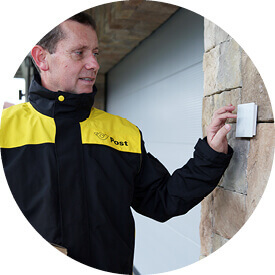 The NFC Code Touch offers the ideal combined access control solution for your door, gate, garages and alarm in a single device that boasts a modern and sleek design. 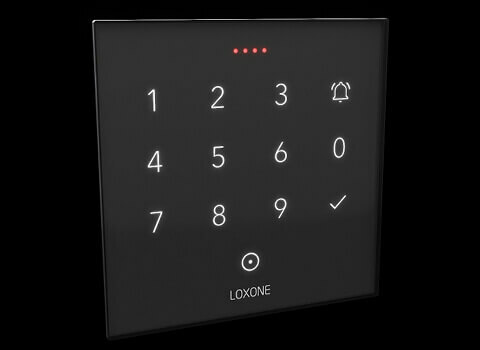 A convenient way to unlock the front door of your Loxone Smart Home using a unique code or NFC tag. 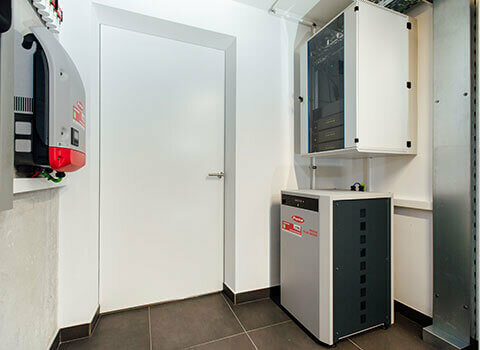 Access can also be granted via gates or garage doors with unique codes operating different methods of entry. Installed indoors, you can use the NFC Code Touch to arm or acknowledge the burglar alarm as part of your Loxone Smart Home. 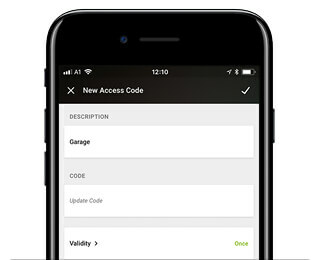 Access, arm or disarm your Loxone Smart Home with unique codes* for each member of the family. *Choose your own personal combination of between 2 and 8 digits. Sometimes your day doesn’t go to plan… Stuck in traffic and need to let in the delivery driver on this one occasion? 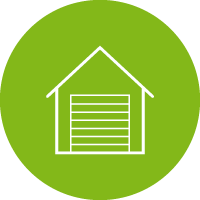 Wherever you are, you can generate a one-time access code for your Loxone Smart Home from within our app. Is your home listed on Airbnb? Perhaps you have a cleaner every Friday? 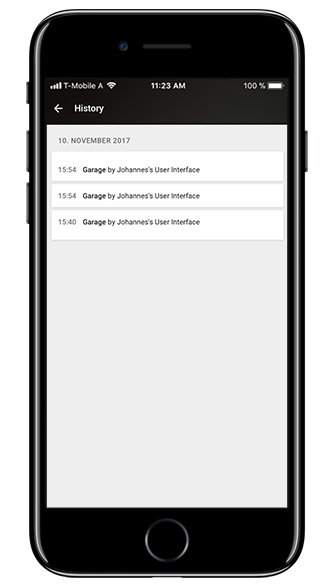 From within the Loxone Smart Home App, you can generate codes that are time-limited, so they’ll only work when you want them to. You have the option of creating a code that only works up to a certain date and time. After this point, the code simply stops working. This is particularly useful if you only want to grant access for a short term, like an Airbnb booking. Have codes that work only during certain hours or on certain days. These codes don’t expire but simply won’t work outside the specified time. This is useful for letting the dog walker in to walk Milo on weekday mornings, or allowing cleaning staff access only between 2pm and 5pm on Tuesday and Thursdays. 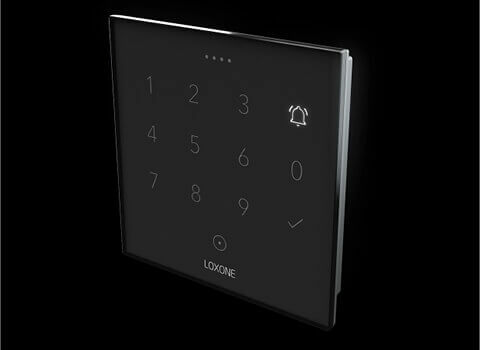 If you’d prefer to use a key fob to access your Loxone Smart Home rather than recall a pin code, no problem! 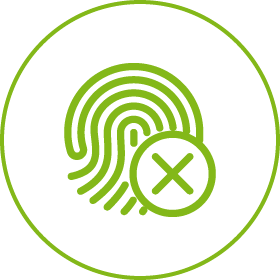 The NFC Code Touch allows you to gain access via the contactless, high-encrypted integrated NFC reader. Near-field communication, or NFC, is similar to the way you might use your phone to pay for something in a store. *NFC Code Touch Air requires 24V power supply to enable NFC reader. 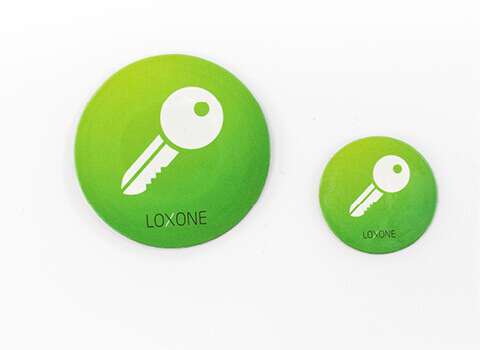 Unlock the door or open the gate or garage with the included Loxone NFC Sticker. You can purchase additional NFC stickers from the Loxone webshop. 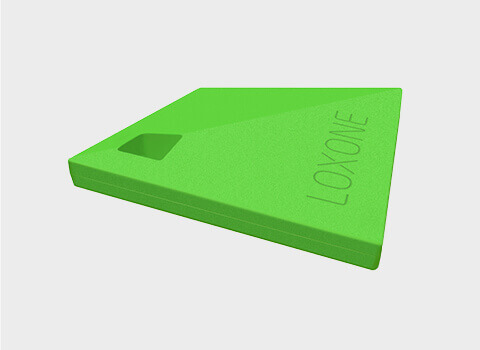 The Loxone NFC Key Fob is simply to use and replaces your front door key – giving you access to your home using contactless technology. The NFC offers feature-rich customisable access control.  Does your home have more than one gate or garage doors but you don’t want to have to remember a code for each one? No problem. 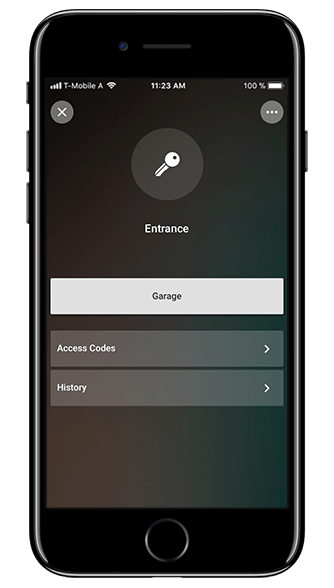 Via the keypad, you can first select the gate or garage door to be controlled and then enter your unique code. 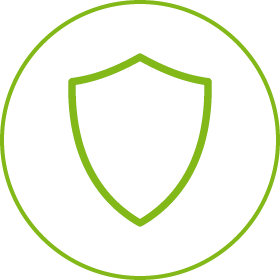 Speak to your Loxone Partners about the access control actions you would want to trigger with your code. 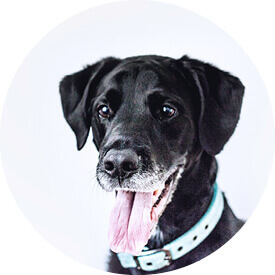 Whether it’s creating a time-based code for the dog walker or a one-off code for a delivery – all it takes is a few taps in our app. True to our philosophy of ‘one app for everything’, the Loxone Smart Home App gives you detailed control of the NFC Code Touch. 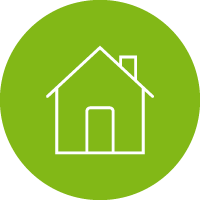 Control and management of the NFC Code Touch is intuitively laid out in the Loxone Smart Home App. You can see a quick overview of the actions your NFC Code Touch can perform. From here, you can also activate associated features such as unlocking the front door. 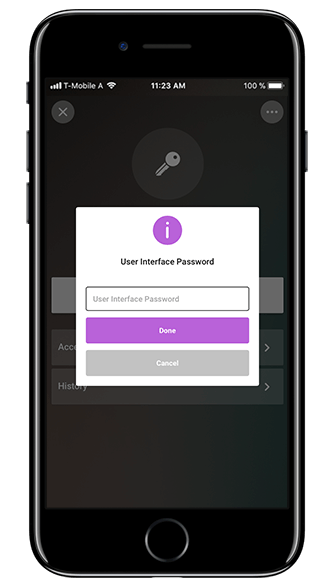 The activation of some features, such as unlocking the front door, is further secured by the option to require a User Interface password. This level of security gives you peace of mind knowing you have complete control. Easily create codes for your NFC Code Touch. The code can be used by anyone you choose, with the added option to define when it expires or set a specific day or time frame in which the code will work. You can delete the code and remove its permissions at any time with a few taps in the app. 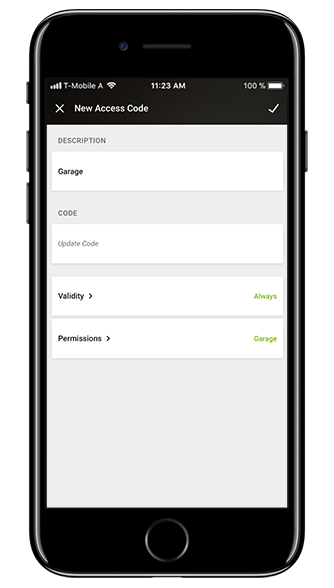 As a user with Administrator permissions, you can create or change the details of any of the codes for your Loxone Smart Home from the settings part of the app. Such permissions are defined in Loxone Config, so speak to your Loxone Partner about the available options. Another feature available to users with Administrator rights is a history log of codes entered on the NFC Code Touch. You’ll see a corresponding date and time stamp to let you know when the code was used. Whether it’s creating a time-based code for the dog walker or a one-off code for a delivery – all it takes is a few taps of in our app. True to our philosophy of ‘one app for everything’, the Loxone Smart Home App gives you detailed control of the NFC Code Touch. 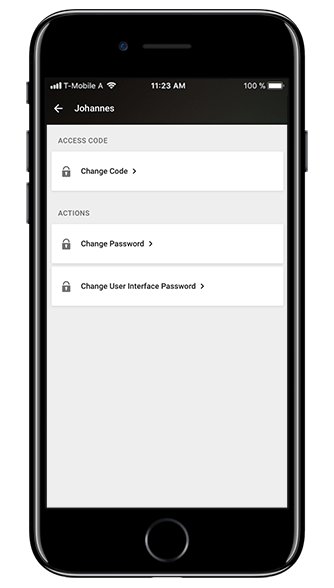 As a user with Administrator permissions, you can create or change the details of any of the codes for your Loxone Smart Home from the settings part within the app. 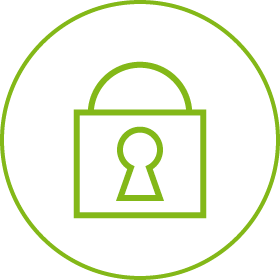 Such permissions are defined in Loxone Config, so speak to your Loxone Partner about the available options. 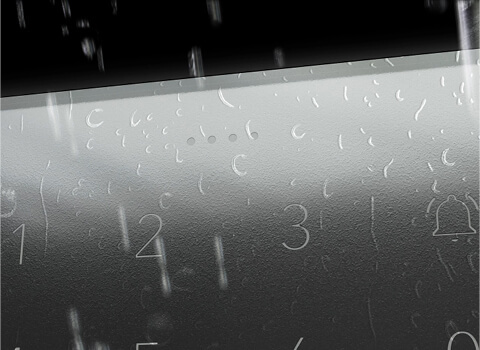 The facade of the NFC Code Touch is set in high-quality, hardened glass. In contrast, a gentle touch is all that’s needed to register that a selection has been made. The device has a satin finish that does not show any fingerprints. A complex multilayer ceramic printing process was used to ensure a meticulous, elegant finish. Plus, you can expect exceptional quality as the NFC Code Touch is made in Germany. 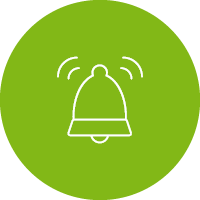 The doorbell button does as you would expect, but you can have this button assigned to perform a range of other functions within your Loxone Smart Home. It could turn on the porch and hallway light, for example. The integrated LED lights can make use of red, green, blue and white colours to indicate different states. In addition to the standard status indications, these LEDs could indicate a variety of other instances. 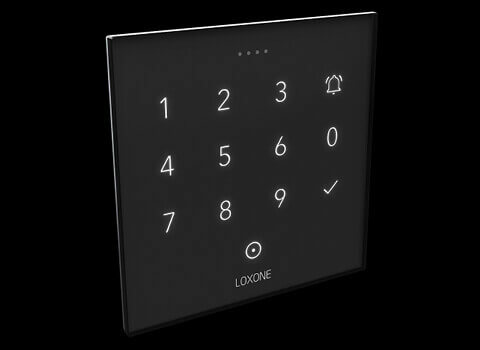 For easier use in low light conditions, the keypad is backlit. This feature is activated when a motion sensor picks up movement and it is dark. This makes for an improved user experience while not attracting attention to the device from passersby. *This feature is only available on the NFC Code Touch Tree and For Nano variants. Through the use of high-quality materials – including UV-resistant plastic mounted behind the hardened glass facade – the NFC won’t yellow or show signs of wear and tear as a result of being outdoors. The NFC Code Touch is designed with longevity in mind. Sun, rain or snow… Whatever the British weather throws our way, the NFC Code Touch is at home outdoors thanks to its UV-resistance and splash proof ratings. Decide whether or not to enable an audible click feedback to acknowledge an input on the NFC Code Touch. The choice is yours. The encryption of our NFC Stickers and our upcoming Key Fob meet the same security standards as your contactless bank card. Without AES encryption, an NFC device is more susceptible to being intercepted (imagine someone holding a payment machine against your bank card in your pocket or handbag without you knowing…). With AES Encryption, however, no one can access your code so you can rest assured that your Loxone Smart Home will not be vulnerable to such opportunist. In addition to AES Encryption, your code is highly secured with hash encryption to ensure that no foreign device can listen to or intercept it. In contrast to the conventional access solutions available on the marketing – the high-quality, hardened glass facade is resistant to fingerprints and signs of wear and tear. If someone tries to manipulate your NFC Code Touch, good luck to ’em. 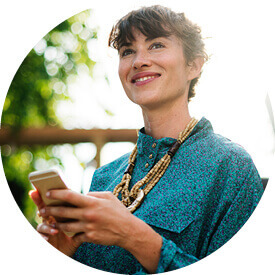 The device simply won’t function if it isn’t connected to your Loxone Smart Home system so they won’t be able to benefit from any of the access points it can control. With a myriad of options, you could control almost anything in your home from the NFC Code Touch. What would you want it to do? 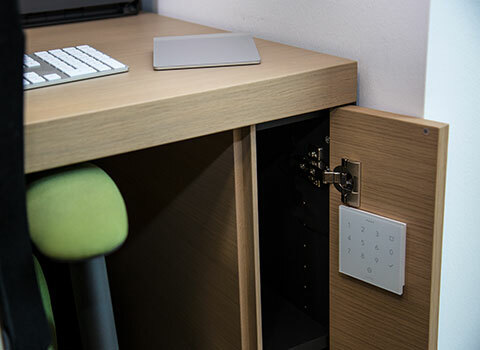 Use the NFC Code Touch to easily create an access solution within your furniture to secure drawers, cupboards or a shelving system with important documents. Who keeps finishing all the chocolates in the snack drawer in the canteen? How about an NFC Code Touch to keep track of who’s been at the food or soft drinks and send out monthly costings. Although the NFC Code Touch is at home outdoors, it does pretty well indoors too. 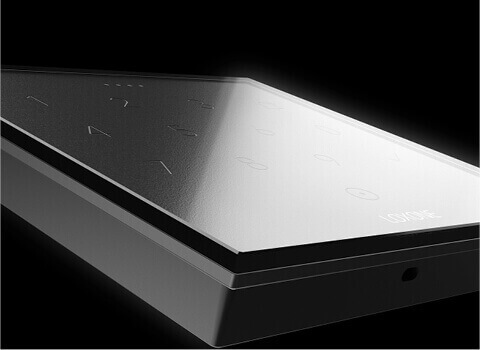 This device would be great at restricting access to certain rooms – like a company’s server room. 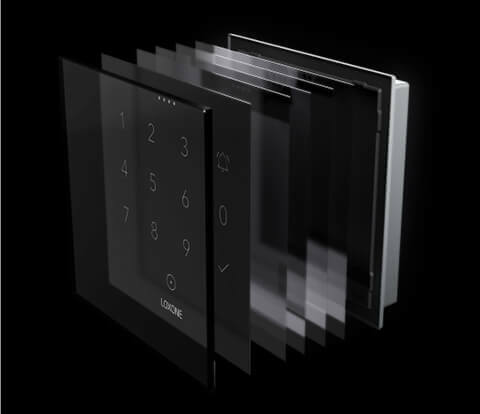 The NFC Code Touch isn’t just the perfect access control solution for your Loxone Smart Home… It’s powerful features make it ideal for a variety of applications outside of home too. Eager to find out more about the NFC Code Touch? Head over to our webshop for more information! Deciding to install smart home technology is not a ‘spur of the moment’ decision. 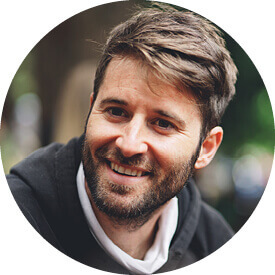 Your home is at the very heart of everyday life, so it’s really important that it works for you and your family. That’s why we offer free consultations, to help you decide if Loxone is right for your home. 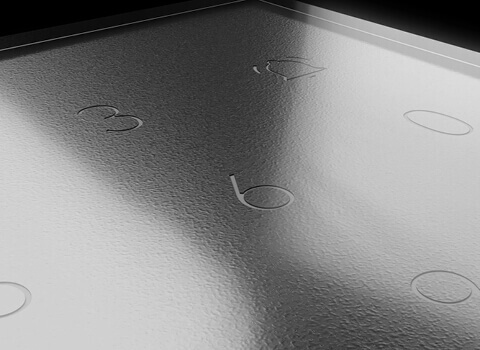 Get creative with our new Touch Surface. Switch control for your lights, music, shading and more – integrated into your home’s hard furnishings or surfaces. 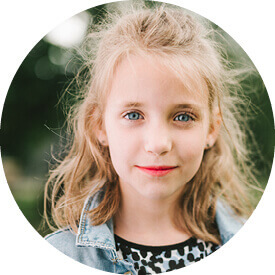 Read the blog to find out more!